Contra dance has been enjoyed in America since before the Revolution. This New England tradition has been passed on for generations by dancers, callers and musicians who enjoy the vibrant social activity. Contra dance is similar to square dancing, but is done in long lines or circles of couples, rather than in squares. All dances are taught and prompted by a caller with a live band playing lively traditional jigs and reels. We have two contra dances scheduled. We hope to see you there. Come with your dancing shoes on. ​Young people are welcome, but they need to be accompanied by adults. Nora Scott will hold an Introductory Workshop from 8:00 to 8:30 pm. Dance from 8:30 to 10:00 pm with Dog Paw and callers Nora Scott and Ray Polhemus. Susan Dankovich will conduct a Beginners Workshop from 3:30 to 3:45 pm followed immediately by dancing from 3:45 to 5:00 pm with Crooked Kilt and callers Susan Dankovich and Karen Wilson-Bell. 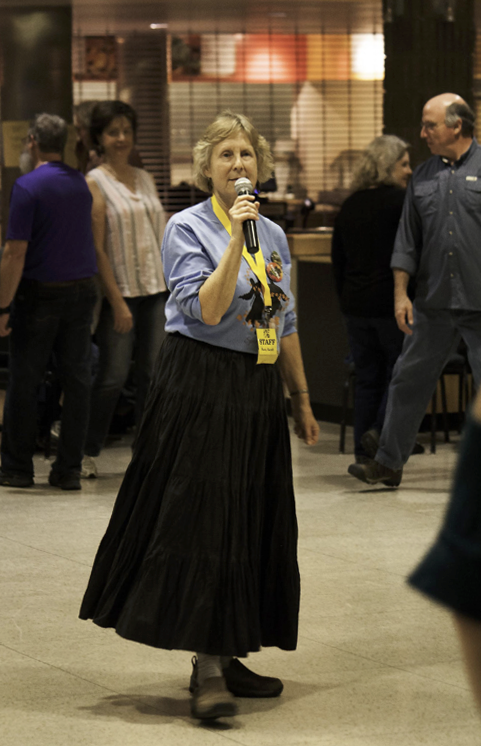 ​Note: For those interested in continuing to learn contra dance, The Spokane Folklore Society hosts contra dances every Wednesday evening, September through June, from 7:30-9:30 pm at the Women’s Club, 1428 W 9th Ave., Spokane. Introductory workshops begin at 7:15 pm. Please join us! Spokane Folklore Society is a nonprofit 501(c)3 organization dedicated to fostering international cultures in Spokane. © COPYRIGHT 2016 - 2019. ALL RIGHTS RESERVED.